I love these little towns. Each is unique in its history and architecture and attractions, yet they all share a strong sense of community: everyone roots for the high school football team, the one outstanding cafe is always packed at lunchtime, and everyone knows - and cares - about everyone else. 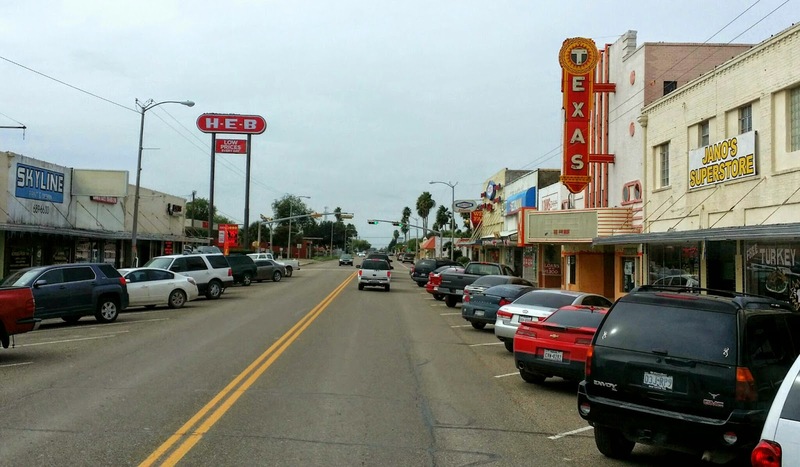 This is Raymondville, Texas. We came upon it last Thursday while taking a more scenic route from Brownsville to Laredo. Make me wanna open a donut shop and become a local. I have really great memories of Niverville for this reason. Do you think the people that grow up here yearn to live in a big city like Buffalo?